Pack your bags and go on holiday at the spa! 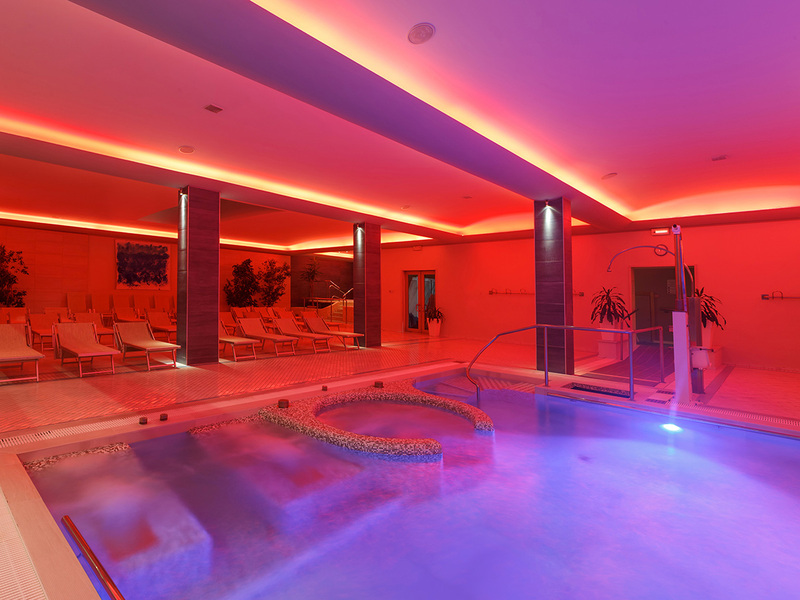 Promotional offer to spend 5 days and 5 nights at the Spa with half board and unlimited access to the thermal park with three swimming pools, grotto spa, whirlpool, spa waterfall, bathrobe and towel, Kneipp path, use of the gym room. Entertainments based on the weekly calendar. This offer has a flexible tariff, so for the confirmation a deposit is required. This is a prepaid offer. When booking, the credit card provided will be charged an amount equal to the entire selected stay (full prepayment). This is a discounted rate at which further discounts are not applicable or conventions. Beverage and tourist tax are not included (it depends on the current law). The prices for children include only the board and access to the spa area (unless otherwise indicated). Rooms are available from 15:00 on day of arrival and must be vacated by 11:00 am on the day of departure. You can request a cradle for children from 0 to 1 year of age with an additional price of € 15,00 per day. It is not allowed to take animals.